When constructing or developing a property, the soil or rock type on the site can make a big difference in the stability of the building’s foundations. Compared to rock, sandy soil or loam, clay presents particular challenges for construction, as it shrinks or expands depending on the moisture content. These changes can cause foundations to move and even crack, creating serious problems for property owners and developers. Vertosols are clay-rich soils that are particularly prone to shrinking and swelling when they experience changes in moisture content. This soil type is mostly found in Queensland. Other clay-rich soils are common in Tasmania and parts of Western Australia. However, even if you are located outside of these areas, your preferred building site could still have clay-rich soil. To find out what type of soil is present on the site you want to develop, you need to consult an experienced professional in the construction industry. 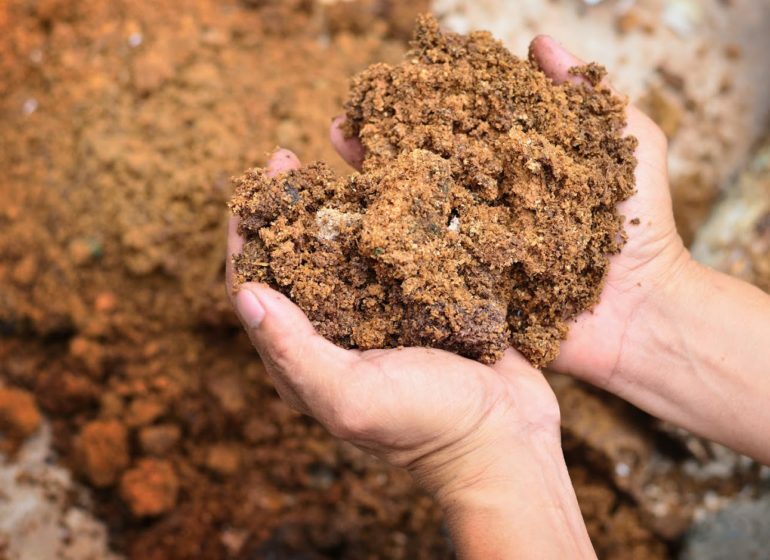 Clay is a type of soil that is made up of very tiny particles. This means that clay can soak up a huge amount of water and then hold onto the moisture. When clay becomes wet, it expands, becoming slippery and pliable. During long periods of dry weather, clay dries out, hardens, and shrinks significantly. These extreme changes in the amount of space clay takes up can cause significant shifts in foundations, which can damage the buildings on top of them. To avoid instability in your new construction project over the long term, you must take account of the soil type on your site and take action to prevent clay’s expansion and contraction from damaging your building’s foundations. The simplest way to build stable foundations on soft clay is simply to dig deeper to find firm ground. This approach makes it possible to build a standard trench foundation that rests on stable ground, which should help to prevent subsidence and other issues traditionally associated with clay soils. However, even once your contractor has drilled deep enough to find firm ground, the clay soil will still expand and contract around the sides of the foundations, which can cause lateral pressure. To prevent this pressure from damaging the foundations in the long run, one option is to line the sides of the trenches with a flexible slip membrane. This membrane allows the clay to expand and shrink with little effect on the foundations. Building wider foundations is another good option when building on clay soil. Expanding the lateral size of the foundations spreads the pressure exerted by swelling clay over a much larger area. Construction contractors can also reinforce the foundations with steel to prevent shearing forces from causing damage. When searching for a contractor who can help you to develop on a clay site, look for a company that has drills with enough reach to excavate a deep foundation. You also need to work with a construction company that has many years of experience with building on various types of soil, including clay-rich soils. If possible, try to find a contractor with a well-established reputation for creating stable foundations even in non-ideal conditions. Robar Boring Contractors Pty Ltd is ready to answer any questions you might have about the challenges of building stable foundations on clay soil. Get in touch today to find out about our foundation drilling services so that you can be sure that your development is built on stable foundations that will not let you down.